Department information, services, and contacts. Articles related to the history of the Syracuse University Libraries. Events calendar, library news, and library blogs. Partnership spaces such as the Academic Integrity office, Blackstone LaunchPad, and more. Library policies and procedures pertaining to privacy, communications, facilities, resources, rooms, and technology. View the Libraries' publications and newsletters. 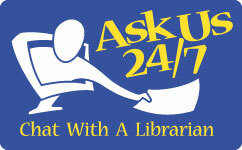 Find library staff and contact information. Links and tools for library staff. Syracuse University Libraries advance learning, creativity, community, and research for One University. Ways to give, Donor Honor Roll, Libraries Advisory Board, and Library Associates. Visitor Guide, parking, directions, maps, and alumni resources. Use our online Suggestion Box to offer your comments or suggestions.